This is a sponsored post written by me on behalf of Huggies for Linqia. Find out more on my disclosure page. As my son got older I thought there would be less things to tote with us outside of the house. Unfortunately, this hasn’t been the case. No matter how I try to avoid it, there are just still things I can’t leave the house without. I don’t always need them every trip but having them on hand has saved me a lot of trouble. Yes, there have been a few times I have forgot to bring these items with me, and it never fails that something happens to remind me how important they are. This one doesn’t need much explaining. Kids are messy creatures. Accidents are going to happen and without a change of clothes, it could me the end of your trip and a dash home. Extra points for keeping a change of socks and shoes. Even those can get soaked in a potty accident. Water and snacks can be used in all sorts of emergencies, whether it is car related or we have to make an extra stop and the kids are going to explode soon. We always say not to go grocery shopping on an empty stomach, well you might have happier kids if you don’t drag them along without a snack either. Again, blankets can be used in emergencies, but they also help keep the peace with different temperature preferences, and make little ones more comfortable for naps. Yes, this one is for the momma. A lot of times when I’m out of the house my plans take an unexpected turn. 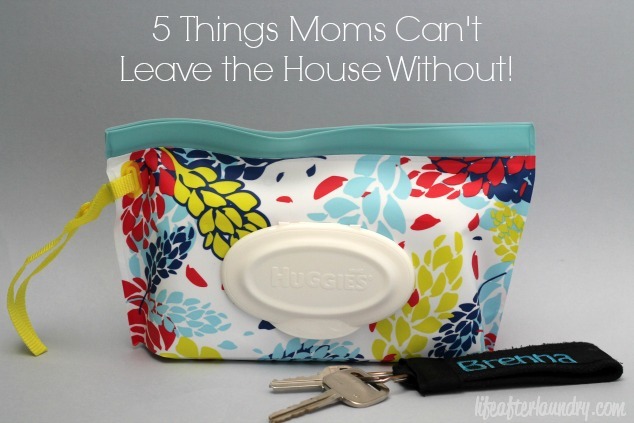 Moms are famous for getting ready on the go, but I don’t want to tote my makeup around every where I go. I have found though with a little lipgloss and something as simple as a bobby pin I can do a quick touch up. Making me feel a little more confident where ever I might have to go. This one is last, but by far the most important. There are so many situations on the go that can be fixed with a trust baby wipe. 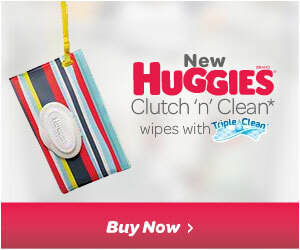 Huggies now makes it supper easy to always have wipes within arms reach with the new Clutch ‘n’ Go Wipes! They are as important to walking out the door as my keys and phone. I love these stylish clutch patterns so much, and the wristlet makes it so convenient for carrying around out of the car on outings. Much easier than those old- hard wipe travel cases we used to carry around that only help like 5 wipes. Parks, malls and grocery stores here we come! With the cute new designer tubs from Huggies, I can also have back up in the car ready and waiting. What is something that you would never leave the house without? I always have wipes and water, even though I don’t have little kids any more. You never know when you will need to wipe something down, like the handle of a grocery cart. Love these containers. Great post! I feel like I was so good when the kids were babies, and now (they’re 6 and 3), I will go out without the ‘diaper’ bag since neither is in diapers. Whenever I do, disaster strikes! LOL. Wipes are a must have for sure! That little clutch is such a great idea! I carry all that and then some! My diaper bag weighs about 30 pounds 🙂 I’m going to check out the clutch, it would be so handy for quick errands or when we go camping! Great information, Brenna! We always leave a small diaper bag in the car that has just the basics: change of clothes, diapers, wipes, cup or bottle and a bottle of water. It’s saved us so many times. I am now a proud grandma and I always have snacks and wipes. I will have to get clutch. 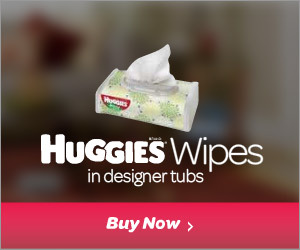 Great idea Huggies! This is a great list. My kids are older and I still need most of this stuff in the car, even the wipes. Some things never change! Grandmas and Great-Grandmas also love to have huggies around. It is so helpful to have them in the bathroom, in the kitchen and in the car, just in case we need to clean the precious hands and faces of our grandchildren and of course our great-grandchildren. Huggies by far are my choice of wipes for any need you may have.